Need advice on how to prevent a breakout or what to do when you get one? 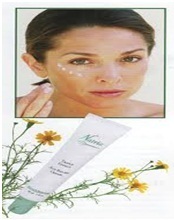 Many people think that by using a daily moisturizer there is no need for a good facial. The real fact is that the face is the first to reflect internal issues. For Example, the face is the first place in which acne appears. Virtually everyone has found a pimple or black head on their face. This is because facial skin is the one that tends to accumulate oil excess. Another factor affecting the appearance of facial acne is that most people are constantly touching their face unconsciously. GRAF NATURAL WELLNESS, can help you resolve these and other skin issues, with natural tips and skin care recipes. All the ingredients of these recipes are easy to achieve and are accessible to everyone. a rehydrated, acne free, balanced and reaffirmed skin. The information presented here on our GRAF NATURAL WELLNESS web page is not intended for the diagnosis, treatment, prevention, mitigation, alleviation, or care of any disease of any kind. All our Clients are encouraged to seek competent medical help when those services are deemed necessary. GRAF NATURAL WELLNESS Services and Sessions are intended to assist its clients in the care of their own bodies, suggested by our Certified Natural Health Practitioners and Self healing Programs. However, anyone is able to choose and use the information contained in this site as universal logical knowledge. For any medical problems, see your primary care physician. The information found on this website, has nothing to do with religious ideas or myths or practices, nor are necessarily in opposition to any religious practice. People are entirely responsible for themselves. Information presented herein is simply intended to serve as tools which may help to put people in touch with a larger, intuitive realm of the mind that is blocked out by the ordinary state of consciousness. Participants are welcomed to try our suggestions accordingly to their own personal feelings and experiences.